When a scary old tree blooms with the most beautiful pomegranates ever seen, the neighborhood kids' mouths water with anticipation. But the tree isn't theirs—and it has a protector! 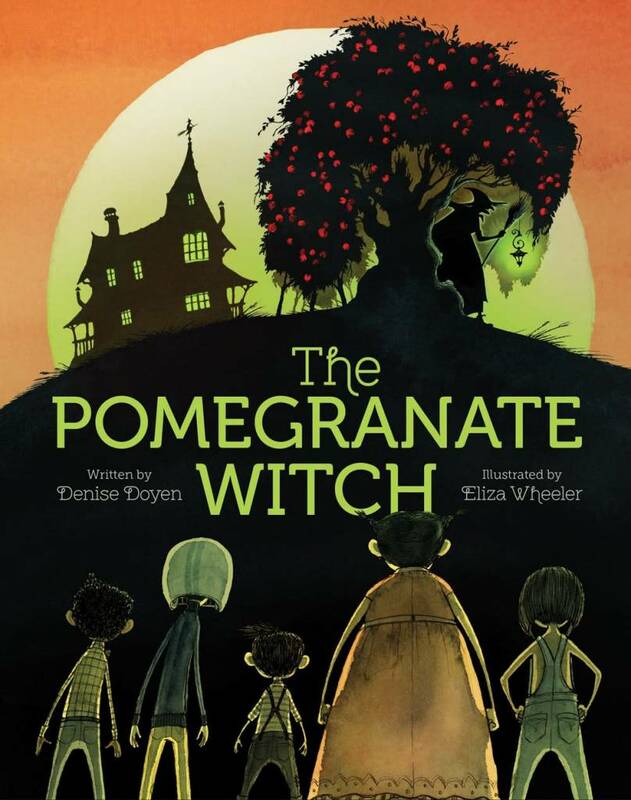 So begins the Pomegranate War, a fun, rollicking, rhyming tale of a battle between the sly, plucky young rascals and their wry, witchy neighbor who may have more than one trick up her sleeve. This delectable romp from award-winning children's poet Denise Doyen and acclaimed illustrator Eliza Wheeler honors classic children's literature and revels in nostalgia for free-to-roam days full of playful invention.